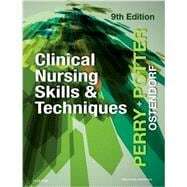 by Perry, Anne Griffin, R.N. ; Potter, Patricia A., R.N., Ph.D.; Ostendorf, Wendy R., R.N. ; Laplante, Nancy, Ph.D., R.N.